Good text editors always save your time. Normally we use text editors for writing codes, preparing official documents or creating websites etc. Windows and Mac comes along with pre-installed text editor. In windows its notepad, in MAC its Textedit, but none of them have as advanced features as most modern third party text and code editors have. The ideal text and code editor for programming should have the feature of syntax highlighting for multiple programming and scripting languages. Whereas auto completion, auto save, grammar, audio recording for macros, good design and typography are the must have features for any kind of text and code editors. Keeping all these things in mind, we have compiled the list of 10 best text and code editors for Windows 7, 8 and 10 in 2018. All of them need to be downloaded and installed. This is the most popular, most efficient and probably the most used text and code editor all over the world. It is best suitable for beginners who need just some basic functions and also comprises with many advanced features at the same time. It is mostly used by programmers because of its text highlightning and code friendly features but also known by common people as well. Comparing files, find and replace, and tabbed interface makes it the best text editor. But more awesome features are macro recording, code collapsing, and endless list of plugins to add multiple functionalities. 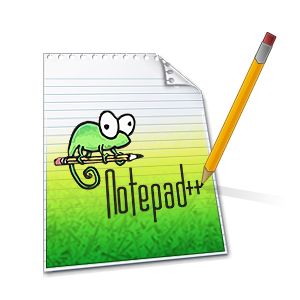 Notepad++ supports only windows operating system, both 32-bit and 64-bit. 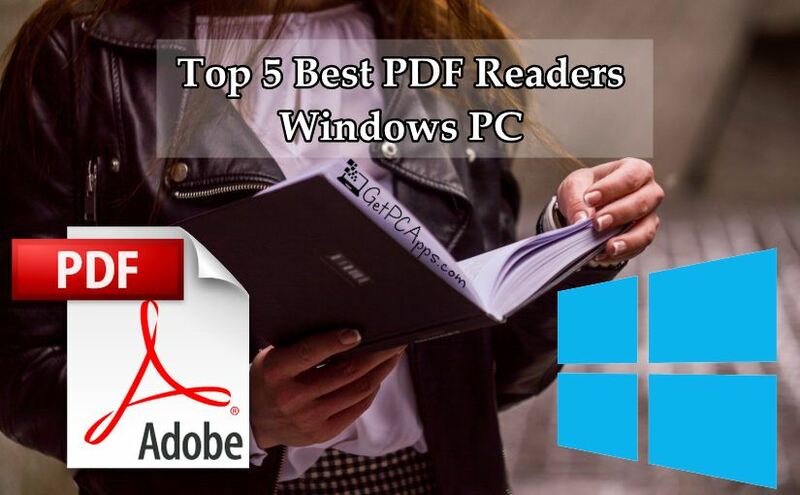 It can also be used as portable app, and used directly from USB stick or cloud storage. Documents can be save din variety of formats. Brackets is a free text and code editor, commonly known for web designing but can also be used for other purposes. Despite of all advanced settings, interface looks incredibly clean and simple. You can click a button named as”No Distraction” to make it more simple. This is extremely web friendly code editor. While working on HTML and CSS, you can enable preview to check how your code will look on web. There is a specifc “Working Files” area, where you can open all files of one project and switch between them. lugins like W3C validation and python tools work well on brackets. Brackets comes with many dark and light themes that you can choose as per your choice. With visual tools and preprocessor support, Brackets can be said number one text and code editor for web designers. An open source text editor for windows with infinite customization options. It is often said “hackable to core”. 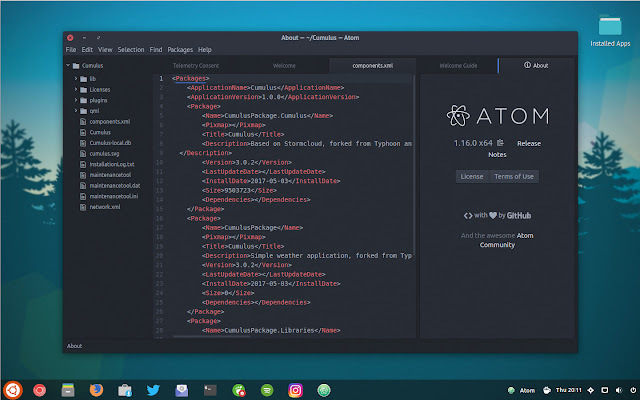 Atom is the best option for those who want full control over their text and editor. It was developed by GitHUB and their developers tried their best to incorporate all the features needed by programmers. Atom comes with a solid documentation, which can help you in getting started. There is a built-in package manager, which allows you to search for expansion options from inside the program , rather than opening browser. Common features like code completion and incredible support makes it best candidate not only for web code writing but also app code writing. 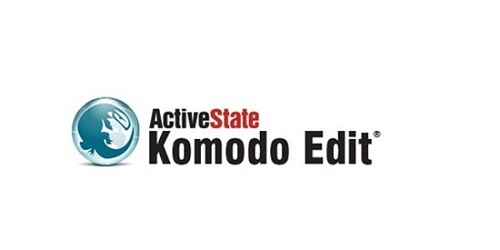 Komodo Edit is the best text and editor for you, in case you are looking for powerful yet simple text editor. There are various view modes available. This way you are able to quickly open or close specific windows. A unique feature in Komodo Edit is the area at the upper left side of program. It will let you go back to the previous cursor location. 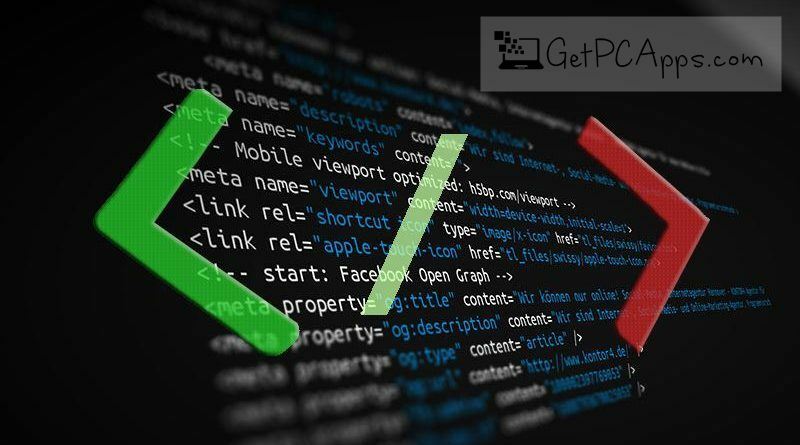 You can connect to remote FTP server to open or save files. Komodo edit also supports bookmarking specific areas of document. There is a “watch file” option that can open a document in a new window for reference without being added to tabbed list of files you are editing. Just like Notepad++, Vim has also been there in market for long market and has refused to loose its power and appeal. It comprise of all basic features like macro recording, auto complete, auto save and multiple tabs. Vim supports all major desktop platforms. Well, one negative point about Vim is that its learning curve is steep but its paid off by unrivaled power of Vim. There is history support for calling up commonly used code of snippets and built-in script for automation and customization. This is a free text and code editor which is commonly used as source code editor. The program is extremely simple. It even has a “Zen Mode” option one click away that immediately hides all the menus and windows, and maximizes the program to fill the whole screen.The tabbed browsing interface commonly seen in other text editors is supported in Visual Studio Code as well, which makes it really easy to work with multiple documents at once. It is possible to split editing place, into multiple windows for side by side editing and reading. A file can be reverted back quickly to the state in which it was, when you saved last time. Dozens of keyboard shortcuts are available too. This text and code editor probably isn’t ideal if you use it for other than programming purposes. There are entire sections dedicated to debugging code, viewing command outputs, managing source control providers, and even using a built-in Command Prompt.So all of them would be a waste , in that case. The MeetingWords text and code editor runs entirely online and is really different than the others in this list. The primary feature is collaboration function. More than one people can edit the same document, and chat back and forth at the same time. You don’t need an account to use MeetingWords, just open the link, starting typing, and share the URL. Any updates made are instantly reflected on the page for the other collaborators, and text is highlighted a specific color to show who did what editing. Since MeetingWords works online, there is no operating system restriction. Anyone would work like Windows, Linux, macOS, etc. When you need to share the document with collaborator, just share or email the URL link. There’s a Time Slider button at MeetingWords which shows a history of all the edits made to that document. You can even lets you share a link to a specific revision. When you want to download the document, you can either use the Import/Export option to save the file to an HTML or TXT file, or copy/paste the contents into a different text editor that supports more output formats. 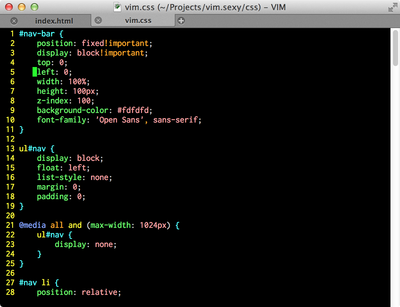 A very stylish text editor with a built-in web browser. Though its configuration takes some time. 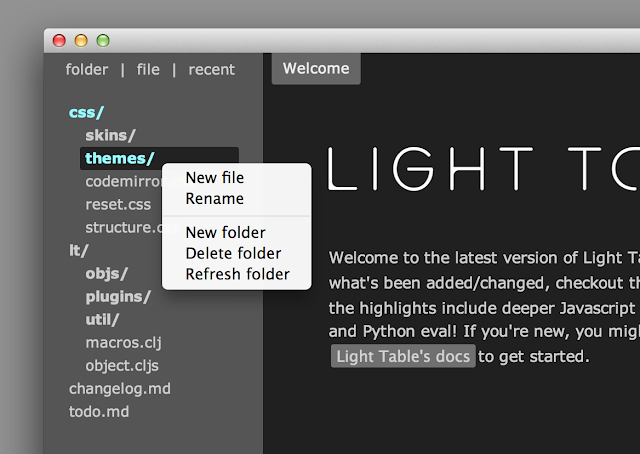 If text and code editors were to be judged on looks alone, Light Table would feature highly for its undeniable style. It’s a glowing example of attracting minimalism. Light Table can be used for kind of any coding project, but it’s better to use it for website building, and the fact that it’s available for Windows, Mac and Linux is a big plus. Thanks to the embedded browser,while coding a site in Light Table, you can instantly preview what you’re working on. 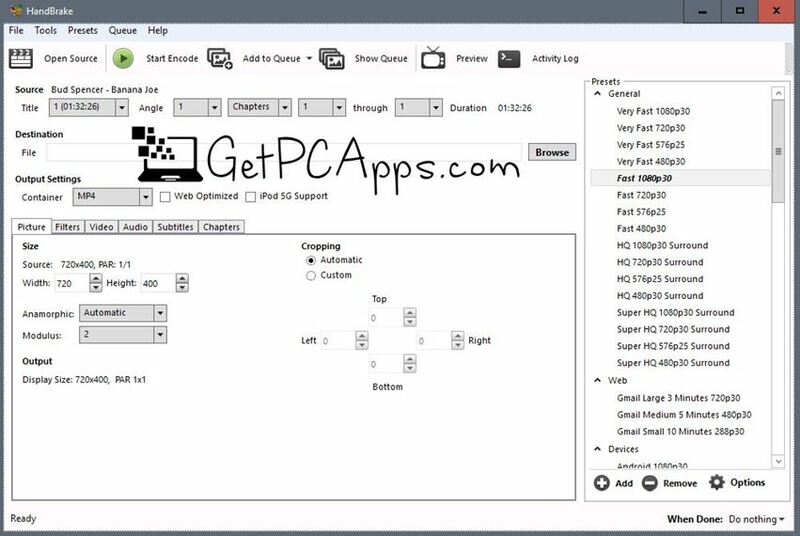 The tabbed and paned interface makes great utilization of space, and the program is highly customizable so you can easily tailor it to your individual projects. This open source text editor was released as a Kickstarter project and the developers did a great job of heeding what people were looking for, including a centralized list of plugins, inline code feedback, instant testing of code, and watching of code feedback for easier analysis and evaluation. Bluefish is a super cross platform editor having a busy interface which sometimes intimidate you at first. There is a plethora of tabs and toolbars. So it might be difficult to use at first but with a slight practice, it would not be a big deal. Bluefish can handles dozens of files simultaneously and is very light weight. 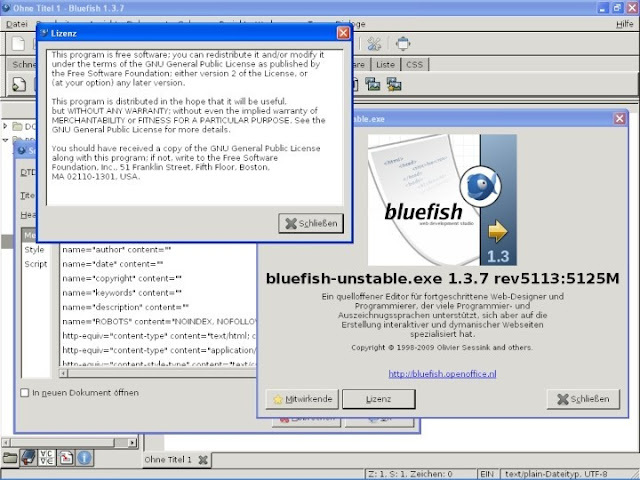 Bluefish gives developers very vast scope for remote editing with Bluefish, and there’s support for lots of programming languages (including syntax highlighting and checking). 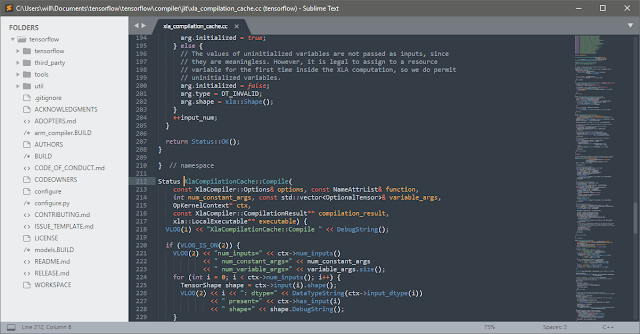 A feature packed cross platform text and code editor, Sublime text is a great text editor. Plug-ins and add-ons are available for specific programming languages and are used in Sublime Text. The app features powerful search and go-to features and tons of keyboard commands. There is a distraction-free mode that lets you focus right on your work. You can select more than one rows to make simultaneous changes and customize shortcuts to suit your own needs. 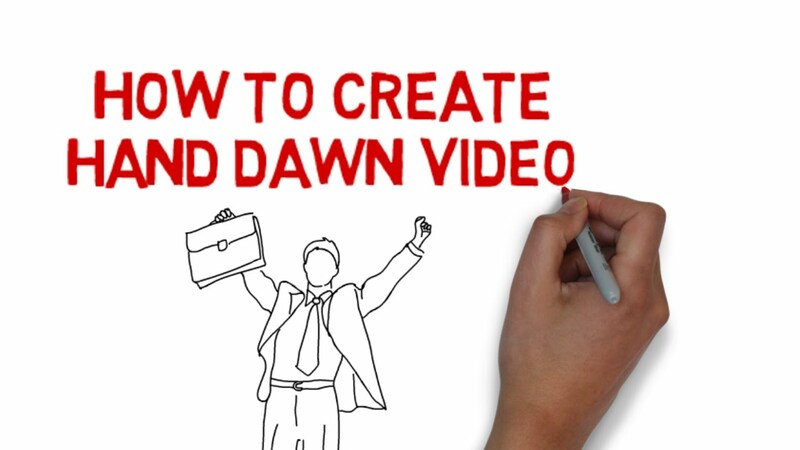 You can even chain shortcuts together to perform complex—but fast—operations. 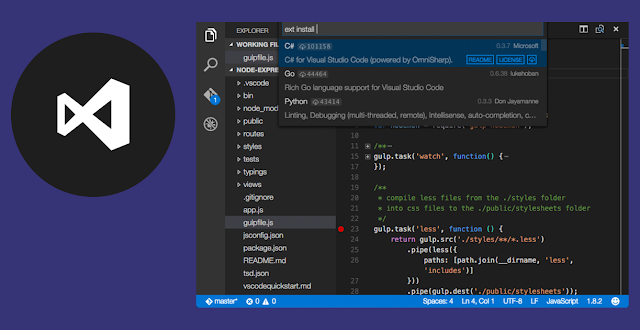 Sublime Text supports Windows, OS X, and Linux. It’s distributed as evaluation software (free to try, but there’s no time limit on how long you can use it for free) and a full license will definitely cost you.